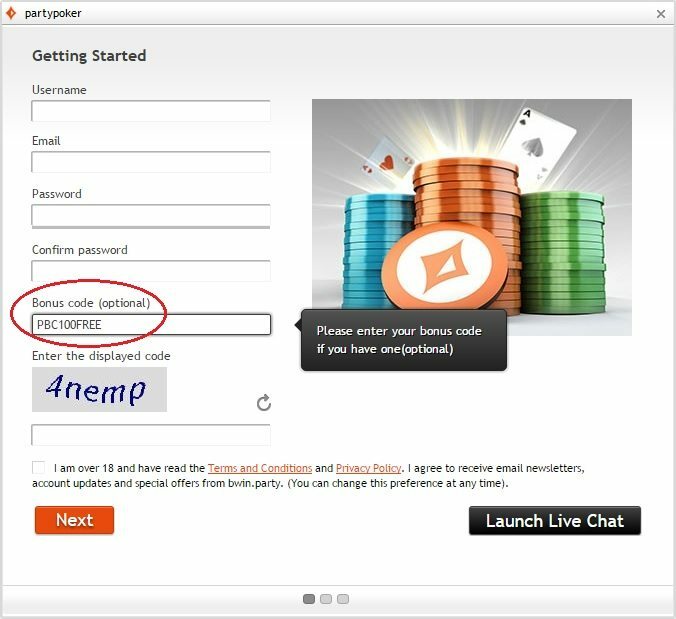 PartyPoker is still one of the top global online poker brands with excellent software and customer service that actually tries to help. All new players to partypoker can enjoy a 100% match bonus on their first deposit worth up to £250! Register your new partypoker account with bonus code PBC100FREE to qualify. 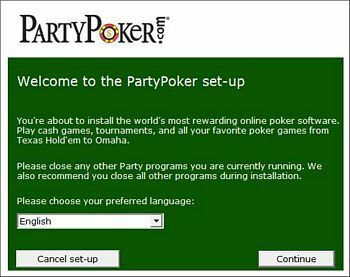 The Party Poker download is 35 MB's and supports the following languages: English, Dansk, Deutsch, Español, Français, Português, Pyccko, Suomi, Svenska, Polski, Magyar, Româna, Italiano. Supports Currencies: $, £, €, C$, JPY. Software features include fold and show, anonymous heads up matches, improved multi-tabling, and more. To start, click on the "Download Now" button above which will immediately prompt you to save the PartyPokerSetup.exe file. Click on "Save File". Depending on your computer set up, you may get a prompt asking for permission to run the program or a Security Warning. Go ahead and continue with the installation, the Party Poker software is safe and virus-free. Select you language to get started, click "Continue". You may change the installation directory, confirm that you have adequate hard drive space, read the Terms and Conditions, and then click "I agree". The setup program will begin downloading all the necessary files. Please be patient while all the files are downloaded. Once the files have been downloaded, the installation process will automatically begin. Enter your new account information. The Account Name will be your new online poker handle. For Bonus code, be sure to enter PBC100FREE to get the maximum bonus possible. Click "Continue". 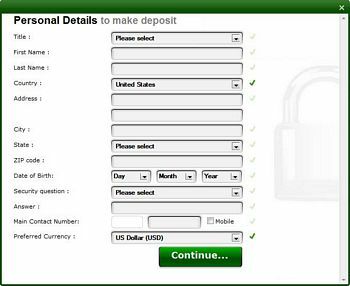 Now that you've created your account, you can make a real money deposit. Click the "Click here" button. Enter your REAL personal information. Party Poker is a safe and secure site, your personal information is protected and will never be shared with 3rd parties. 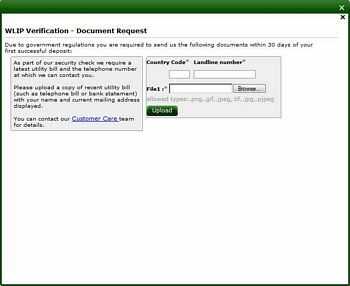 You have 30 days from your first deposit to send in the verification document. You will have to upload a utility bill showing your name and address to confirm your identity. Party Poker takes security seriously and has these security measures for your own protection! 9. Find the Game of Your Choice! Party Poker has several tabs and search features to find just the game you're looking for! 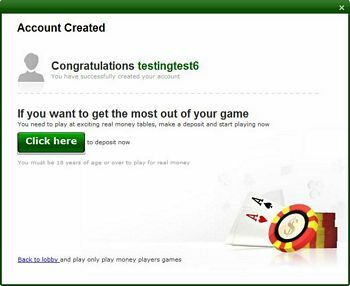 When PartyGaming merged with the popular European sports betting company bwin in March 2011, they formed bwin.Party Digital Entertainment – which is now the biggest publicly-traded online gaming organization. You can find bwin.Party on the London Stock Exchange under the ticker BPTY. 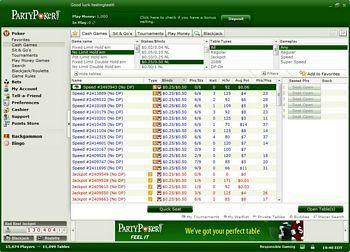 Prior to passage of the Unlawful Internet Gambling Enforcement Act of 2006 by the U.S. Congress, PartyPoker was the world’s largest online poker site, but because Party left the US market, they have since fallen to the second largest poker site. Regardless, Party Poker is still a massive online poker room with innovative software, great tournaments, and excellent promotions. The Party Poker download contains some of the most cutting edge software features available, such as single-click session options for multi-tables, anonymous heads-up, highlighting of the PartyPoker pro’s, fold and show options, hand history replayer, super-speed games, multi-monitor support, keyboard short-cuts, and much much more! You can even play on a Mac with the Party Poker Instant Play version of the software. Party Poker has one of the best poker bonuses in the industry – 100% Initial Deposit Up to $/£/€500. The bonus is well liked by players because of the relative ease of earning the bonus money. Use the Party Poker bonus code 500NOW to receive this bonus! Join thousands of players at a variety of games, including limit, no limit, and pot limit Holdem and Omaha, or Party’s newest game “Double Hold’Em”, at stakes ranging from as low as $.01/.02 up to $25/$50! Try out the new anonymous Heads Up games, or the double speed tables! There’s a lot of exciting games offered at Party Poker and something new for even you veteran online poker players! Click here to visit PartyPoker! Visit http://www.poker-bonuscode.co.uk/ for more details on the Party Poker bonus code 500NOW and other poker promotions available to you! Play poker at partypoker today! I have accounts already at Stars and thought I'd give Party a try, and was pleasantly surprised with the variety of games out there. I'm a little bored with standard full ring no limit holdem, so the anonymous games and faster tables were fun to play. Highly recommend!